The long standing tire manufacturer tosses its hat in the gravity ring. Despite being in business since 1977, it is only recently that the Thailand-based manufacturer, Vee Tire Co., has set its eyes on high-end, gravity racing. 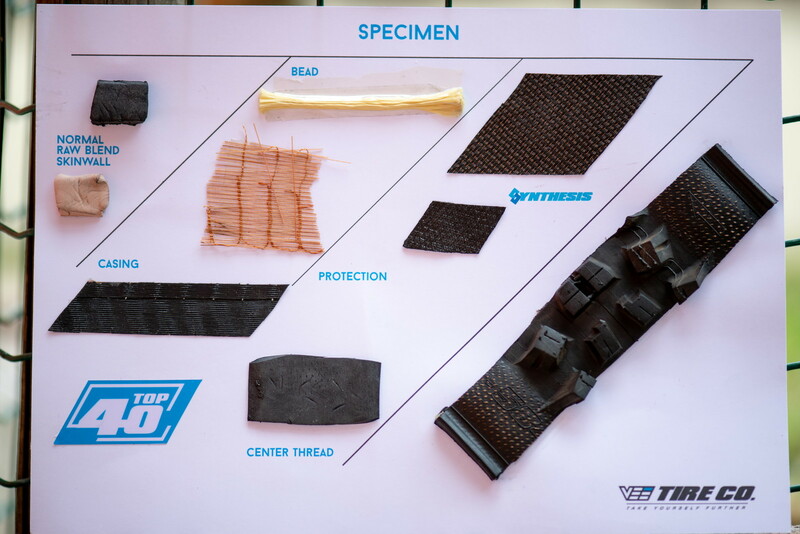 The irony is that Vee were the original manufacturer of the sticky rubber compounds found on the Intense Tire Systems dating back to their inception in 2000 #longlive4ply. In 2013, Bike Sukanjanapong began a mountain bike division of his father’s company, and he very much wants a commanding presence in the aggressive mountain bike scene. Based on our initial impression of the 29 x 2.35 Snap WCE, we think he is on the right track. Vee Tire’s most aggressive offering is the SNAP and SNAP WCE, both with the same width and tread patterns. 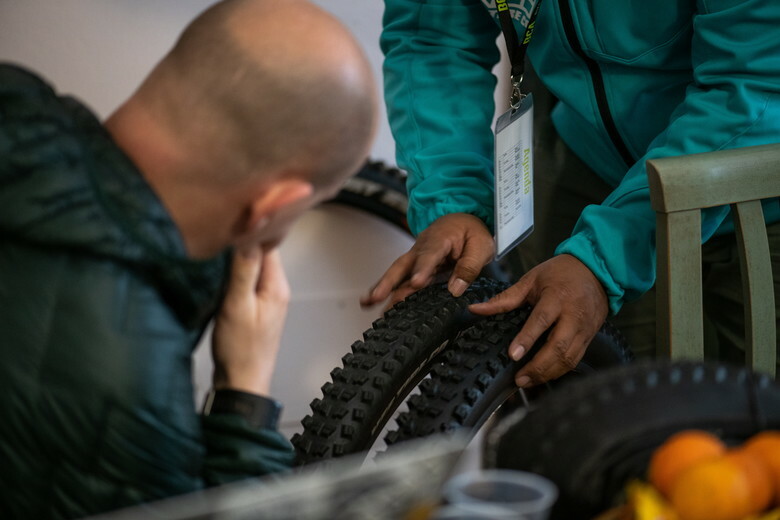 The SNAP tires were developed in conjunction with the Propain Six Pack World Cup DH team, and the idea was to create a tire that could do well in the broadest swath of conditions. The WCE has a more round profile and Vee Tire’s Top 40 rubber compound with softer, but more robust, edge knobs than the non-WCE tire. The regular SNAP tire has a more square profile when compared to the WCE and sidewall casings are also lighter-duty. Vee Tire was kind enough to mount a set of their 29 x 2.35 Snap WCE tires to the new Canyon Strive for a bit of testing at Bike Connection. Despite being heavier than your typical trail tire, the World-Cup-track-proven tire rolled along quite easily. The next several miles downhill were a cacophony of features: rock rolls, flat turns, catch berms, steep and loose, and all points in between. The SNAP proved up to the task in all conditions, even when rider line choices were less than stellar. Vital is in the process of a long-term review to see how the durability and performance hold up over time, but our initial impressions on design, compound, and tread are positive, making the Snap a potential contender. Related: BCA 2019 Tires VEE Tire Co.
BCA 2019 Tires VEE Tire Co.
so magic marys dont do the trick you say ? test it to tho max! !